I'm after a couple of cabinet parts on a Sega Sit Down, if anyone is breaking a unit please let me know. Initially looking for the AC panel section which the AC switch, plug unit and cable to the transformer. hey ... so to confirm £1 each plus postage? Shall I just mark the ones id be after.. or list them out? Sorry I'm sure I've over complicated this. Does the bittboy support NES/GB/GBC games? Topic: PS2 NTSC-J playing on a PAL plug! Re: PS2 NTSC-J playing on a PAL plug! So got a couple of photos of the power supply and the console itself. So do I use the JAPANESE power supply with a UK figure 8 plug, or should I plug a UK transformer in? PS2 NTSC-J playing on a PAL plug! Ok so I'm currently awaiting delivery of a Slim PS2 NTSC-J (Model SCPH-70000). So from reading on the internet the SCPH-70000 models can be used with a 3 pin plug, however the SCPH-90000+ had a built in power supply so need a stepdown. Can anyone confirm is this is correct? any chance you could repost the photos? Anyone know what coin mech/loom I need to get this back to take coins? Need some help with creating a credit button for my VTS credit board. Is it possible to create a loom to a standard 30mm button which will act as a coin being dropped? Topic: SFIV Control Panel artwork help? 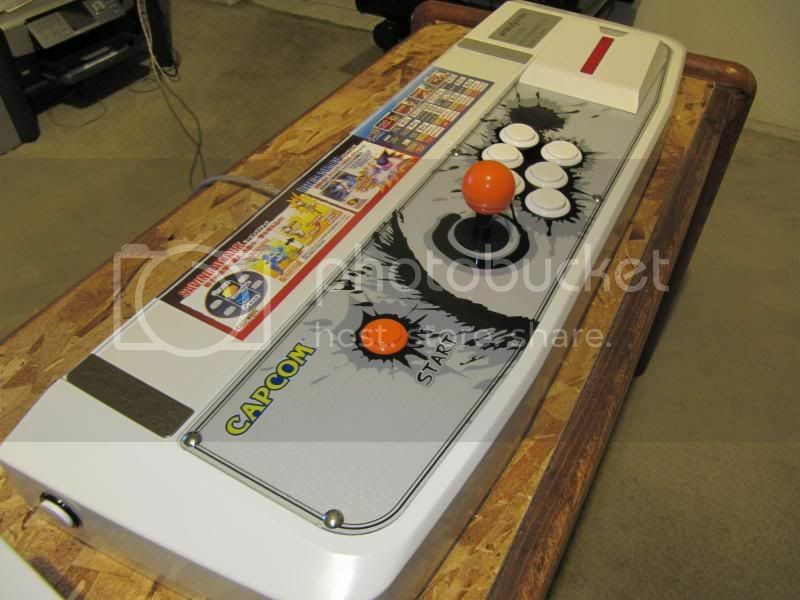 SFIV Control Panel artwork help? Anyone know where I can get hold of this artwork in a decent dpi to allow me to use it to make a custom control panel?